Browse: Home / Asphalt that controls traffic type and flow? Asphalt that controls traffic type and flow? This weekend I attended the SAP Inside track NL event, held at Ciber HQ in Eindhoven. The event was great, and I really enjoyed it but would have loved to stay longer and gotten more involved. One of the outputs is a discussion that followed about SOA, REST, ROA or even REStful SOA and other TLA’s. Looking at an architectural approach to IT, it’s usually devided into business, information, information systems and infrastructure – that translates to people, functionality, programs and machines. As always, the closer you get to people, the more dynamic and flexible you need to be, the more exceptions you see, the more complex it gets. So where do SOA and REST and their offspring fit? That is the question. The awkward thing is, they are handled by the IT people – the business doesn’t care about them, it’s mere implementation. But where are they placed? On the infra level, nitty-gritting with HTTP POST and GET and other minute details. URL format, layout, call returns, etc. Alright, so IT-people implement something on the infra structual level – that would be like saying something about tyres and roads, about which kind of tyres are allowed to travel on what kind of roads, under which circumstances? Maybe one step higher even, vehicles? In any case, it’s on the infrastructure level, so it must be: static, rigid, dominated by rules and simple. Right? 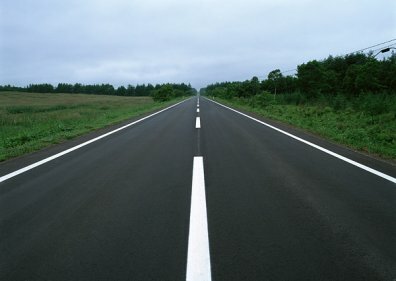 Do you care about asphalt? Do you care about tyre pressure, tyre size, tyre width? Do you even give a damn about how engines work so they can drive the vehicles that bring you from A to B? As a manager, you don’t care what transportation your employees use, as long as they make it to work in time. At the bottom is the traditional IT-landscape: one big chunk of apps, usually SAP or Oracle, and a whole lotta Specials. For future reference, a Big Data DB is already in place. To the left, the traditional customers and suppliers: B2B and B2C. On top, Social threatening to invade the enterprise, and to the right, Cloud and Mobile. If you start at the bottom and go clock-wise, you’ll find that you go from legacy, established vendors and proven technology to fresh, new-kid-on-the-block hotness. You’ll also see that speed of implementation increases, and size of solution decreases. B2B? EDIFACT in the entire world save the US, where X12 is used. Some different flavours dependent on industry (HL7 in Health, Swift / SEPA in banking, and XML / XBRL in G2B (governments to businesses). B2C could be in anything as this usually is a bilateral agreement between you and yourself, but XML is almost always found here. Social Media? Twitter deprecated XML, as did Facebook – they use JSON now. A slightly less wide variety, but still: would you really like to invent something like REST for all these? Do you want to waste your time describing exactly how to format a URL? How many constraints do you pose on yourself, your company, your clients, customers and suppliers – now and in the future? It’s almost – just almost – like having a navigation system in our car that directs us to our goal via the optimum route. We really don’t care about how that route looks like, as long as we get to our goal in the most efficient way possible.